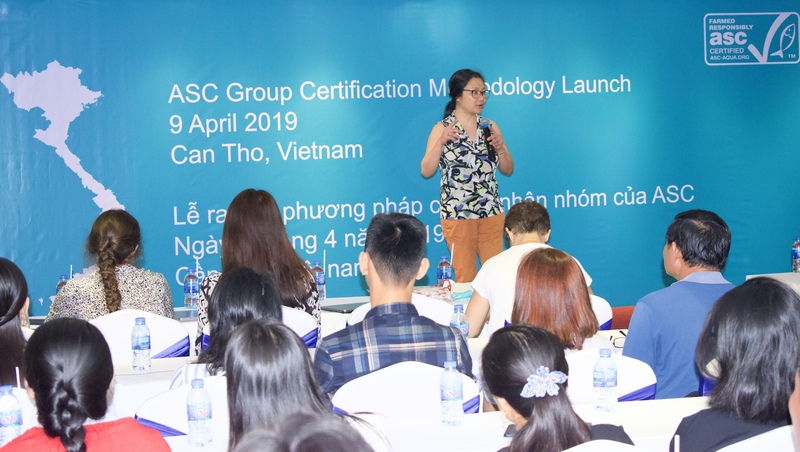 ASC’s new Group Certification methodology, which will make applying for ASC certification more accessible for small producers, has been launched at an event in Vietnam. Group Certification will allow smaller-scale producers to join together as a group to collectively implement the requirements of ASC standards. This allows them to share the costs and resources involved in meeting these requirements and auditing them. While it will allow smaller producers to collectively apply for certification, the applicable requirements of the standard remain the same, and every part of the group must meet these requirements to achieve certification. Group Certification has been developed by ASC over several years, guided by a technical working group made up of stakeholders including industry representatives, scientists, and NGOs – see below for a full list of working group members. The process has involved public consultation and seven pilot groups in Indonesia, Vietnam, Bangladesh and Finland. 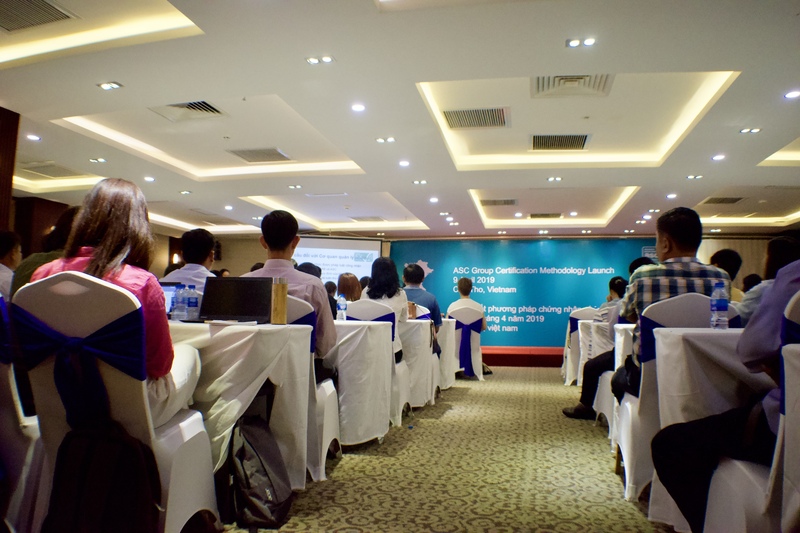 The launch event took place on 9 April in Can Tho, Vietnam, and was attended by nearly 100 stakeholders. The launch presentation by Van Roetert was followed by a presentation by Mr Tran Dinh Luan, Vice Director of Vietnam’s Directorate of Fisheries (D-Fish), which has previously collaborated with ASC to benchmark some ASC standards to the country’s Vietgap standard. Mr Luan spoke about the benefits of group certification to small-scale farmers and the importance of this small-scale farming to many people’s livelihoods in rural areas of Vietnam. 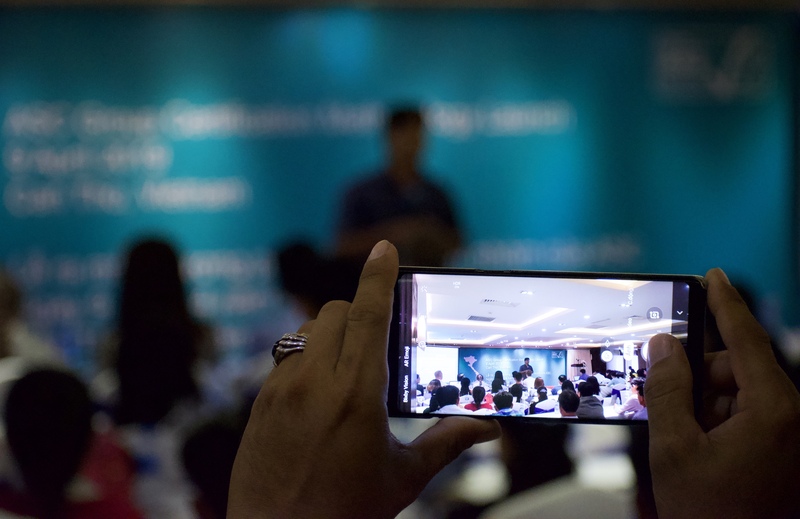 Another speech was given by Mr Nguyen Van Lam, Director of the ASC certified Cai Bat cooperative in Ca Mau, and the presentations were followed by a workshop for stakeholders. ASC will also be providing more guidance and training on group methodology to farmers and auditors. Other participants at the event included NGOs, ASC producers and suppliers, and those involved in the development and piloting of the new methodology.